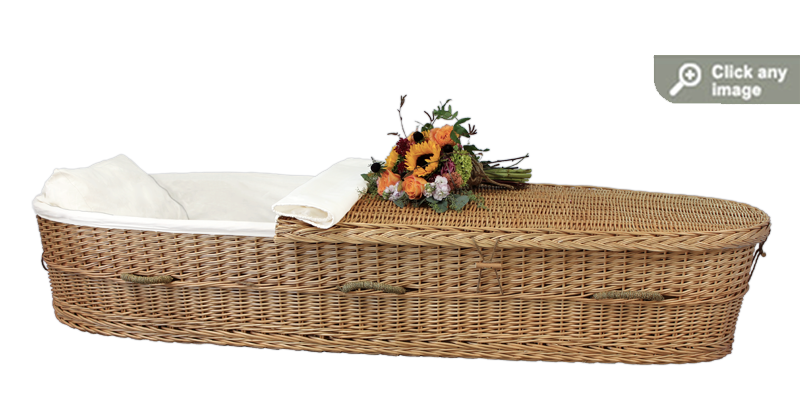 Caskets and shrouds are made available to enclose and transport the dead. 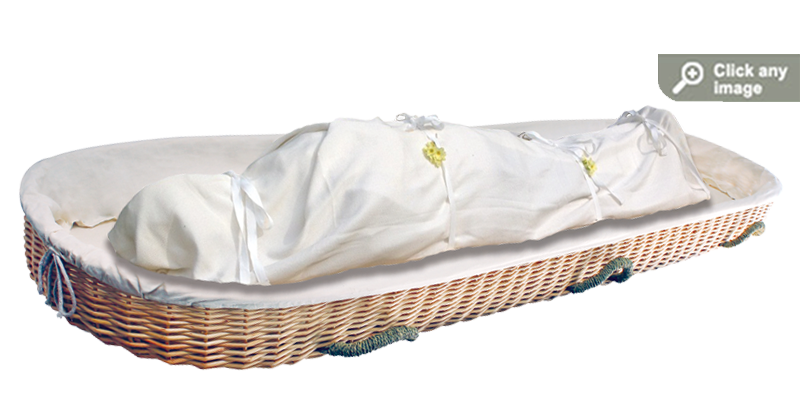 Body preparation suitable for a green funeral service accommodated by this funeral home consists of refrigeration, the use of topical sprays/compounds, or arterial embalming with essential oils. 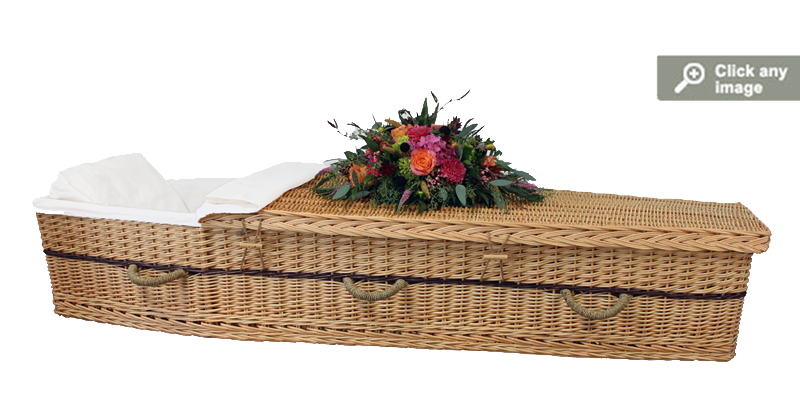 Home wakes, public visitations, church funerals and graveside services are options that may be arranged within the time frame that a green burial allows. Please check our supplemental price list for detailed price information regarding our service and merchandise offerings. This includes local transfer of remains to funeral home from the place of death (within 30 mile radius), basic services of the funeral director and staff; shelter and care of the remains; bathing, topical disinfection, dressing and casketing of remains or placement of remains in shroud; alternative service vehicle and transfer to cemetery; conducting of graveside service, and three (3) certified copies of the death certificate. This does not include any visitation/viewing, other merchandise such as the chosen casket or burial shroud, or other cash advance items. Includes the basic services of the funeral director and staff, local transportation of the deceased from the place of death to our funeral home, embalming (with certified eco-friendly solutions) and other necessary preparation of the deceased, the use of our facilities or our staff, therapy dog and equipment at another facility for one day of visitation/viewing (generally up to four (4) hours), the use of our facilities or our staff, therapy dog and equipment at another facility for the funeral service; hearse to cemetery, lead/flower car, our complete guest register set including our Life Tribute Memorial DVD Presentation, and three (3) copies of the certified death certificate. 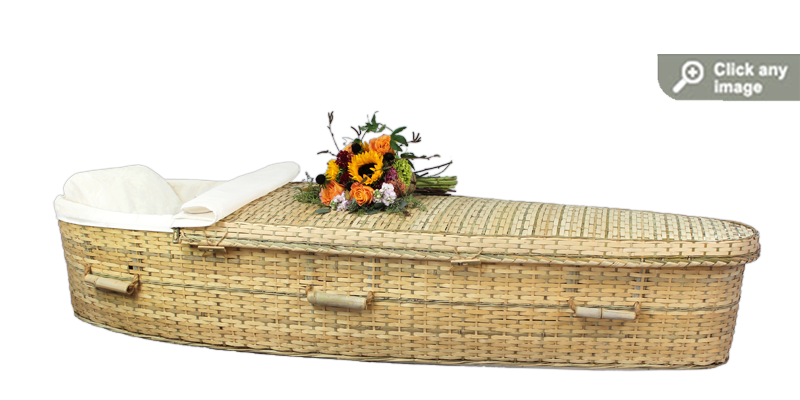 The cost of the chosen burial casket will be added to this price. Same as traditional burial service. However, viewing is held no more than two hours immediately prior to the funeral service on the same day.